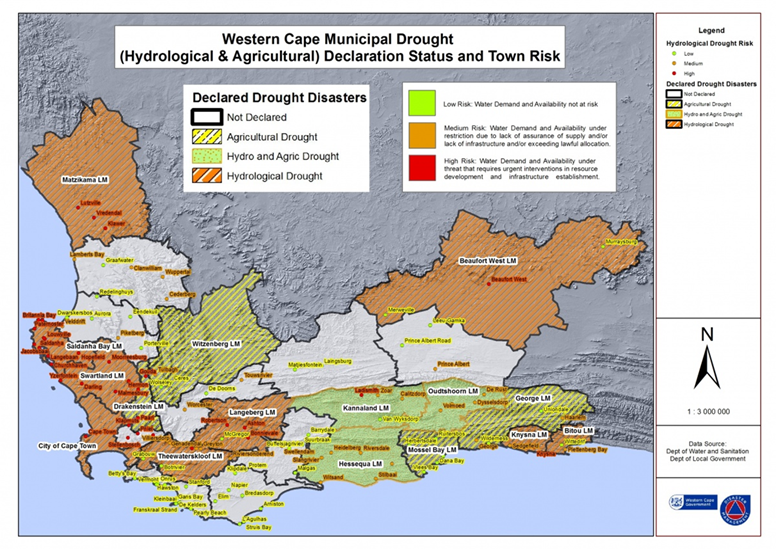 The Western Cape is currently gripped by drought, which has been increasing in severity over the last two years. Nevertheless, we have been amazed with how well Waterkloof’s unirrigated, deep-rooted vineyards have coped over the last couple of harvests. 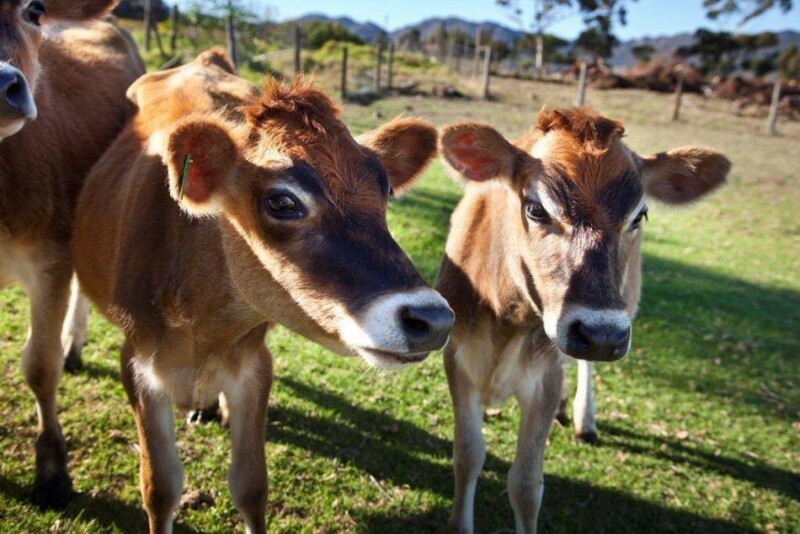 The yields on our biodynamic farm have remained stable, against a significant decline for the Western Cape winelands average. 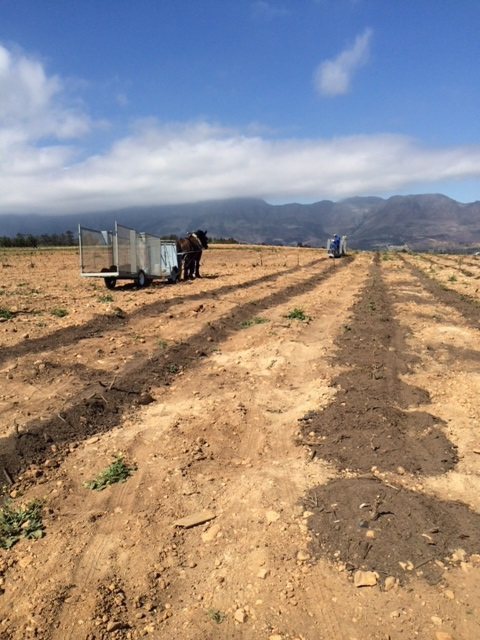 During this drought period – having taken over a neighbouring property- we have been busy planting Mourvèdre and Chenin vines. However, with insufficient water available to irrigate (young vines really do need water), our horses have been hard at work putting a thick layer of compost on all the young vines to lock in moisture, as we anticipate another dry summer. At Waterkloof, we do not use harmful, synthetic fertilisers. Our vines are instead reliant on life in the soil. The soil must in turn be fed and that’s where our organic compost plays a vital role, alongside biodynamic preparations and other organic methods, such as farm-made fish amino acid fertilizers. 1. Cover crop and weeds between the vine rows are baled and fed to our sheep, goats, cows and chickens. 2. Garden refuse is fed to our flock of sheep and goats who strip the leaves from the branches. The branches are then chipped with a mechanical chipper. 3. These chips are then put down in the night shelters of the sheep, goats, cows and chickens as bedding. Through this process, the carbon is broken down by the manure, whilst binding the urine in a stable form so no ammonia is formed. 4. The goats and sheep literally put the leaves back on top of the branch chippings in potassium-rich droppings. 5. This bedding is then collected every three weeks and made into compost rows, where it is kept wet with the whey from our on-site cheesery – Healey’s .The lactobacillus and protein composition of the whey help humify the compost within 3 months. 6. 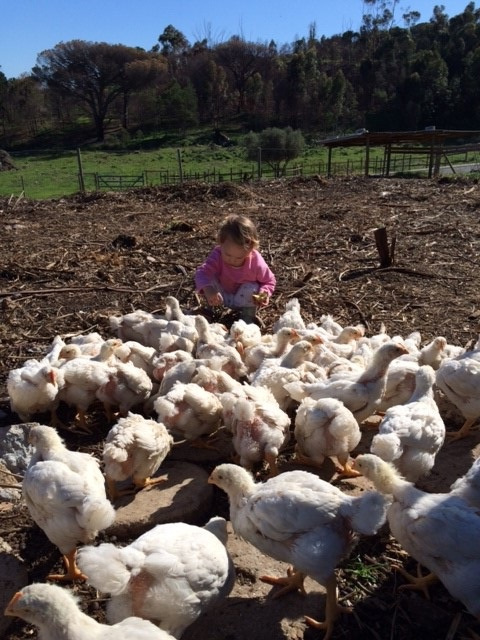 During this whole process, the chickens find ample insects to eat in the compost, so we only sprout some barley from our cover crop as additional feed – with no outside feed required. 7. The layer hens then lay eggs, which we sell at Healey’s and the organic, free range broiler chickens are matured before slaughter and sale. 8. 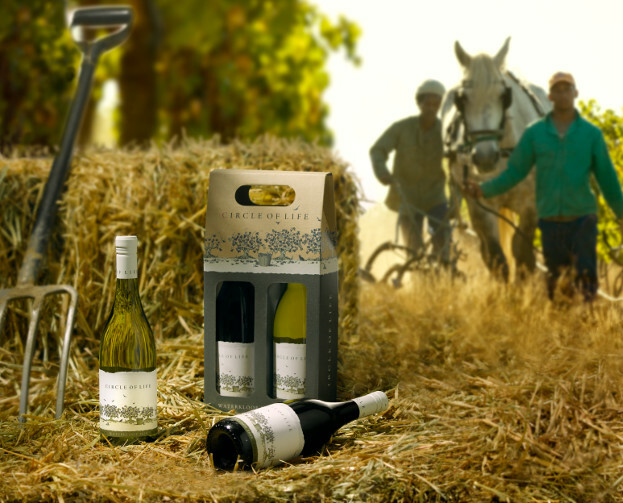 Meanwhile, our farm-made compost feeds our soils, which in-turn feeds the vines, that – once a year – produce amazing grapes for Nadia Barnard and her team to turn into wines with a real sense of place. ANYONE FOR A GLASS OF CIRCLE OF LIFE?